Make 2018 the year you discover Florida’s Most diverse destination with fantastic food, superb shopping & amazing adventures for the entire family. New in 2018, food halls bring a dynamic vibe to historic Tampa Heights. Sample mouth-watering fare at Hall on Franklin or Armature Works, both iconic buildings reborn as stylish, modern eateries. Tampa Bay’s has earned a reputation as a foodie favorite. In Seminole Heights, new in 2018 Mortar & Pestle, unites an innovative café, local coffee, and old-time pharmacy. Downtown’s waterfront dining growing with new in 2018 seafood-focused Blue Harbour. 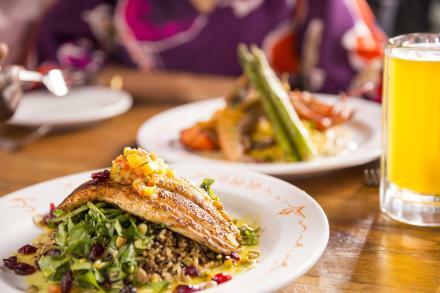 Our favorite eateries imbue their menus with local flavor are Ulele, Oxford Exchange, and the Columbia, Florida’s oldest restaurant. In Florida’s hub for craft brewing, great drinks are part of life like sunshine and hand-rolled cigars. 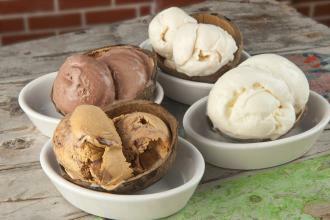 Find your favorite at nationally known Cigar City Brewing Co., Coppertail, or Angry Chair. Or let Brew Bus do the driving on a beer-tasting tour across the region. New in 2018, Rock Brothers Brewing blends beer and music in Ybor City. 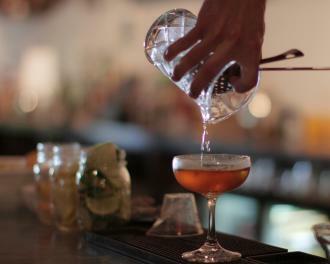 Discover Tampa Bay’s cocktail culture by sampling iconic spots like Hotel Bar, Franklin Manor, and Ciro’s Speakeasy (be sure to call ahead for the password). New in 2018, a joint project by Hyde Park’s Irish 31 and Florida Cane Distillery have produced Florida’s first craft whiskey derived from Florida-grown sugar cane. Mingle with the locals in the intimate confines of Ybor City’s Cigar City Cider & Mead where the menu of small-batch specialties changes regularly. 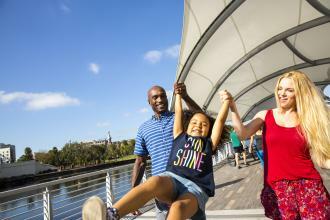 Day or night, the 2.4-mile (4km) Tampa Riverwalk is the perfect, pedestrian-friendly way to move among downtown’s popular hotels, restaurants, museums, and festival parks. Keep a close watch on the water for surprise appearances by dolphins and manatees breaking the surface! New in 2018 floating docks will give boaters, kayakers, and paddleboards access to the Riverwalk’s treasures from the water. After dark, the Riverwalk becomes a canvas for shifting colors of light, joining downtown’s bridges and the Tampa Museum of Art in the nightly display. New in 2018, the Riverwalk takes center stage for a night of cultural activities during Tampa Bay’s monthly Fourth Friday events. For less than half the normal cost of a ticket, CityPASS gets you into some of Tampa Bay’s most popular attractions. 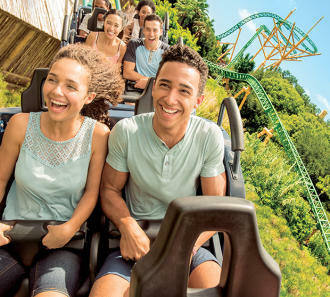 Dive like a falcon and feel the Cobra’s Curse at Busch Gardens® Tampa Bay. Experience the NEW in 2018 4-D theater and splash pad at The Florida Aquarium. Meet manatees and at Tampa’s Lowry Park Zoo, named the best zoo in the U.S. by Parents magazine. Build robots or and get plenty of hands-on learning at MOSI, the Museum of Science and Industry. Florida&apos;s only CityPASS costs $106 for adults, $96 for children 3-9 years of age -- a 51% saving compared to buying all the tickets at full price. New in 2018, Icelandair links Tampa Bay with cities across Europe via its hub at Keflavik International (KEF). Additionally, British Airways (daily) from London Gatwick, Lufthansa (5 times a week) from Frankfurt, and Edelweiss (twice a week) from Zurich put Tampa Bay one non-stop away. Air Canada and WestJet both also make regular non-stop flights to Tampa Bay. Award-winning Tampa International Airport (TPA)’s $2 billion expansion opens new options for shopping and dining. An outdoor dining terrace, new U.S. Customs technology and a new rental car hub and tram system make it easy to start your visit. 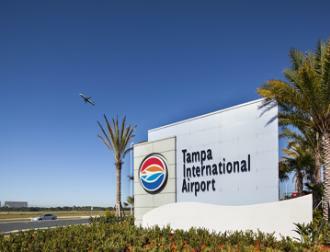 TPA ranks among the most affordable airports in the country. Where the river meets the bay, downtown abounds in ways to get out on the water. New in 2018, rent a ride from Urban Kai Stand Up Paddleboards and explore the waterfront in a whole new way. Pirate Water Taxi stops at downtown’s popular spots on its daily runs up and down the Hillsborough River. See the city from a new angle when you rent a water bike, biyak or e-boat for a self-guided and self-propelled trip on the sparkling waterfront. Or go wild and let Canoe Escape guide you among lush cypress forests filled with wildlife minutes from downtown&apos;s towers. 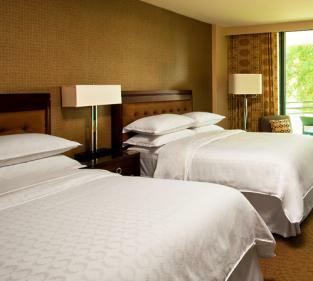 Tampa Bay’s hotels have something for everyone. New in 2018, AC Hotel by Marriott in the heart of the swanky West Shore District. Nearby, the waterfront Rocky Point district, has become just the third location in the U.S. for The Godfrey Hotel & Cabanas, which has brought a stylish new experience to Tampa Bay. Also in 2018, visitors get new experiences at downtown’s Tampa Marriott Waterside Hotel & Marina, remade room at Sheraton Tampa Riverwalk, a new pool and look at Hilton Tampa Downtown, reinvented rooms at Embassy Suites Tampa Downtown and the Barrymore Hotel, and a new name for the waterfront Westin Tampa Waterside (formerly Westin Harbour Island). Stylish, food-themed Epicurean Hotel ranks among Conde Nast Traveler’s 2017 Readers’ Choice Top Hotels in Florida. Autograph property -- in Rocky Point, and a 519-room JW Marriott in the heart of the convention district set to open in 2020 - just in time for Super Bowl LV! Retail therapy comes in all forms in Tampa Bay. New in 2018, the Unlock Tampa Bay Visitors Center puts hundreds of uniquely Tampa Bay items at your fingertips in the heart of downtown. Luxury brands abound at open-air Hyde Park Village, newly expanded for 2018 in fashionable Hyde Park. At International Plaza, Bay Street’s collection of restaurants is the perfect spot for a break while shopping at more than 200 high-end stores. Looking for something crafty or unique? 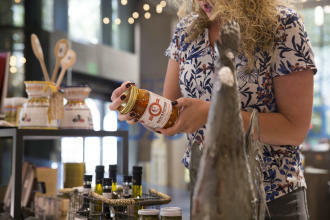 A multitude of weekend markets make Tampa Bay a shopping centerpiece. New in 2018, the charm of Old Havana lies within easy reach of Port Tampa Bay aboard Royal Caribbean or Carnival ships. Before you leave, visit Cuban soil here in Tampa Bay with a stop at historic Ybor City’s José Martí Park, owned by the Cuban people in honor of the Apostle of Freedom. 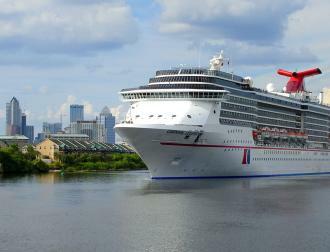 Port Tampa Bay hosts four cruise lines: Carnival, Royal Caribbean, Norwegian Cruise Lines, and Holland America. 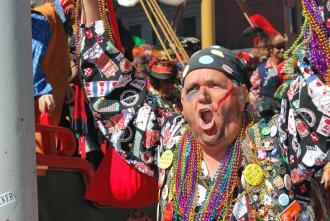 They make Tampa Bay the ideal point of departure to explore the western Gulf of Mexico and Caribbean. Add a day to your stay to enjoy the destination Porthole magazine named its Best Kept Secret.